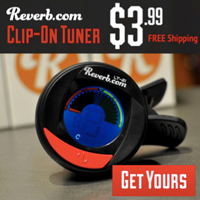 Published on May 19, 2010 in Bands/Artists, Eastern Iowa, Music and Vinyl. 0 Comments Tags: Away, download, Metal, Michel Langevin, mp3, Orion, Pax Americana, Pax-Am, PaxAm, ryan adams, Vinyl, Voivod. I get home last from seeing Local Natives at the Mill in Iowa City with Suckers in support, check my e-mail and I see the above ad in my e-mail! Thank goodness I checked my e-mail before I went to bed! This, of course, is the promised Metal album from Ryan Adams under the moniker Orion I reported on in March. Orion was recorded in 2006 with the final production completed earlier this year with Jamie Candiloro. It’s being described as a “fully realized Sci-Fi Metal Concept Album.” The track “Electro Snake” has been streaming since March which apparently was supposed to ease us into the idea of a full-on Metal record from Ryan. Looking over the track list I see that a song called “Fire and Ice” is on there. The assumption is that this is the same “Fire and Ice” that Ryan streamed from his website back in 2006 as part of the “fake” Warren Peace album – War and Peace. With lyrics like “Somewhere above the stars/In God’s cities/Reflecting the soul waves/Oh, the angels have mercy” it would seem to fit the SciFi concept, and aside from the mid-tempo piano part the chorus uses some pretty heavy guitars. Orion will be the first full-length release from Ryan’s vanity record label Pax-Am. Last year he released three digital singles as well as his first venture into custom pressing vinyl with the pink 7″ of “Oblivion” b/w “People Need Sunlight.” Orion is the first of some promised releases from the mythical vaults of the very prolific Ryan Adams. The very limited (no reports on how many were pressed, yet) release is a very well-executed package from a fidelity and collectability standpoint. The artwork was done by “Away” aka Michel Langevin who, in addition to being the drummer for Canadian Thrash Metal band Voivod, is also a graphic artist. The artwork is screened onto a silver mirrored gatefold sleeve. The LP itself is pressed into clear 180g vinyl which is also a nice touch. Included with the LP is a card for a digital download of the album in the form of 320 Kbps mp3’s as well as a 24″ x 24″ double-sided folded poster (you can see it behind the LP in the picture above). At the time of this writing, there are still copies available to order on the site. There was also a long-sleeve teeshirt available with some of the album art on it and a fake 2006 tour on the back– these are sold out. The album is $24 and for me at least, shipping was $8 which makes it $32 which is a bit on the steep side– but it is a very quality release and well worth it, I think. If Ryan keeps to his plans, there will be a digital-download-only version available eventually for those folks who don’t want the vinyl. 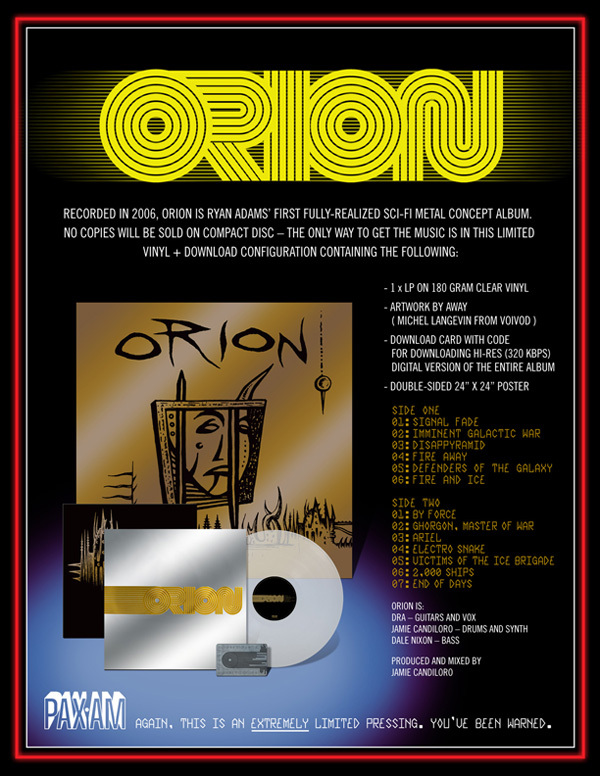 Click Here to Order the Orion vinyl + digital package.